For a generation of Melbourne Football Club supporters, Robbie Flower was reason alone to go to the game. The most graceful and skillful player I have seen play, he was also a wonderfully humble man. 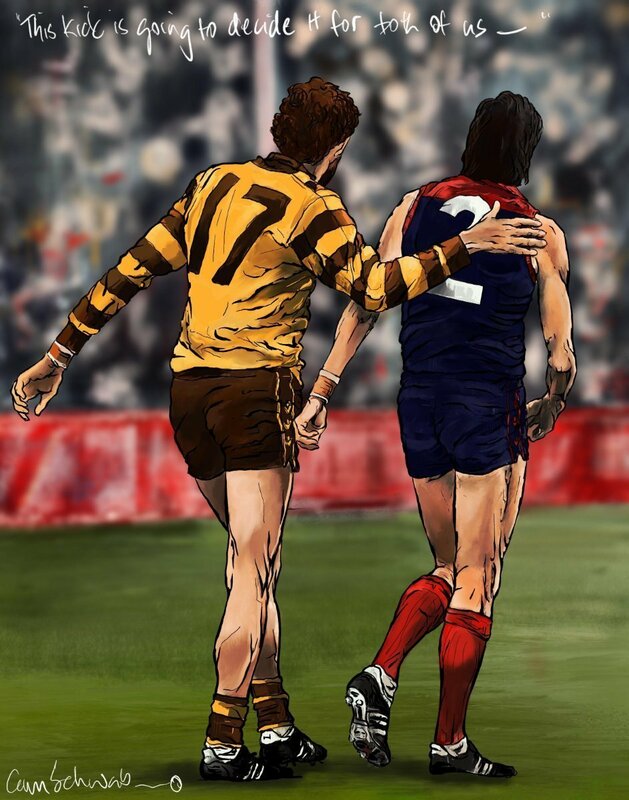 This is my drawing of his last game, the 1987 Preliminary Final, with Michael Tuck and the Gary Buckenara kick that will decide the game.